Praised for his Italianate timbre and sensitive musicianship, Daniel Weeks maintains an active performing schedule including opera, oratorio and recitals. As a concert artist, Weeks has sung with the Houston Symphony, the Dallas Symphony, the Cincinnati Symphony Orchestra, the Indianapolis Symphony, the Columbus Symphony, the Memphis Symphony, the Louisville Orchestra, the Huntsville Symphony, the Oratorio Society of New York, the Winter Park Bach Festival, the Bozeman Symphony, the Orchestra of St. Luke’s, the National Symphony of Mexico, the National Symphony of Costa Rica, the Xalapa Symphony (Mexico) and the National Youth Orchestra of Caracas (Venezuela). On the operatic stage, he has performed with the Florentine Opera, Kentucky Opera, Mercury Opera, Nevada Opera and in 2001 toured the US in Mozart’s Così fan tutte with San Francisco Opera’s Western Opera Theater. Conductors with whom he has performed include Steuart Bedford, Christoph Campestrini, Hal France, Stefan Lano, Jane Glover, Christopher Larken, Hans Graf, Gustav Meier, Junkchi Hirokami, Vladimir Spivakov, Alessandro Siciliani, John Keenan, John Rutter, Jorge Mester, Carlos Miguel Prieto, Eduardo Müller, Gregory Vajda, Stefan Sanderling, Ari Pelto, Lyndon Woodside, Uriel Segal, Robin Stamper, Mark Gibson and Joe Mechavich. Stage directors with whom he has worked include Linda Brovsky, Michael Cavanaugh, Leonard Foglia, David Gately, Casey Stangl, Nicholas Muni, Donald Westwood and John Davies. In 2009, Weeks was honored by his alma mater, Belmont University in Nashville, TN, with their Second Annual “Encore Alumni Award” for excellence in the field of classical music. A passionate advocate for Art Song recitals, Weeks taught the Vocal Literature seminars at the University of Louisville after joining the voice faculty in 1998. In 1999, he was a National Finalist in the Metropolitan Opera’s National Council Auditions and was also named Young Artist by the National Federation of Music Clubs. 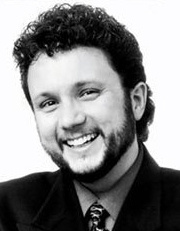 In October 1999, he made his New York recital debut with CCM Accompanist-in-Residence Donna Loewy on the Judith Raskin Memorial Concert Series. In February 2000, Weeks was the “On Wings of Song” recitalist with Loewy under the auspices of the Marilyn Horne Foundation. For the next three years, he and Loewy presented recitals and school presentations for the Horne Foundation across the country. Additionally, Weeks has collaborated with such notable pianists as Timothy Cheek, Valerie Trujillo and Douglas Fisher. Additionally, he and pianist, Naomi Oliphant have given over 150 performances throughout the US, Canada and Europe since 2002. These performances include recitals in Katowice, Poland, Brno, CZ and an appearance in Toronto, Canada, at the 2007 Collaborative Conference hosted jointly by the Canadian Federation of Music Teachers’ Association, the Music Teachers National Association and the Royal Conservatory of Music. In 2009, Weeks and Naomi Oliphant released their album Women of Firsts: A Recording of Art Songs by Lili Boulanger, Amy Beach, Grażyna Bacewicz, and Vítězslava Kaprálová on the Centaur Records label. Critically acclaimed in the US and Europe, this recording showcases art songs by women who were the first in their respective countries to achieve national and international recognition for composition. He and Dr. Oliphant recorded their second album entitled The Lieder of Franz Liszt, which is scheduled for release with Centaur Records in 2015.